A web series written & produced by two Chicago-based women. Heather Abbott and Breanna Benedict met in England while they were studying abroad and had a dream to have their own Netflix Original. Instead of waiting around for Hollywood to call, they created their own show. Meet Hailey and Bianca, two unlikely friends brought together by an unconventional living situation. The first and second seasons are now available to stream on Youtube! Check Us Out On IMDB! 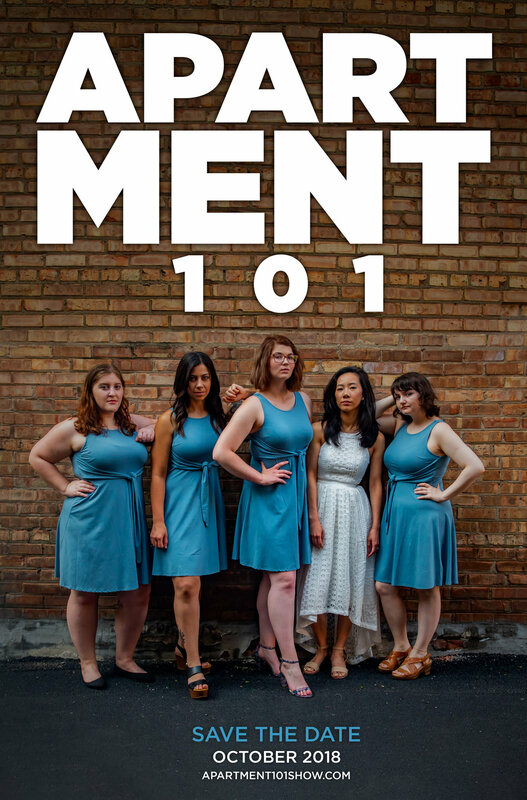 Apartment 101 was featured in The Shut-in’s Guide to Winter in the December 2018 issue of the Chicago Magazine. You can read the online version here. 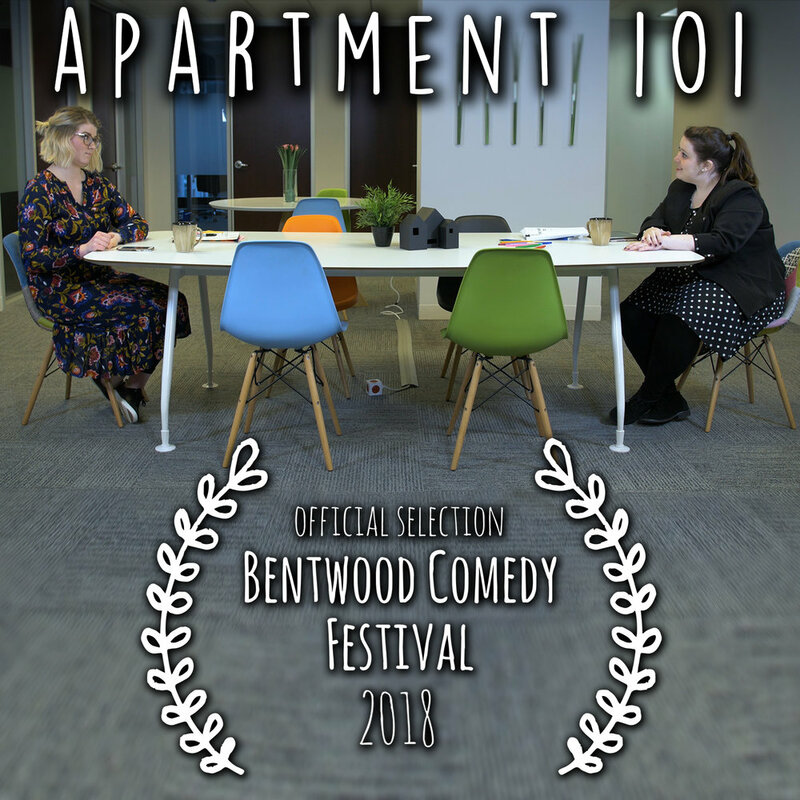 Apartment 101 was selected to be in the Bentwood Comedy Festival at iO Theatre in Chicago. It was featured in the Comedy Web Series screening. Hailey procrastinates before an important deadline. Bianca meets with her literary agent, but is distracted by a dating app. Margo records an episode of her podcast. In the season two premiere, Hailey helps Tonya prepare for her engagement party, while Bianca is on the hunt for a date. Tonya & Chuck’s Engagement Party has got Bianca’s mind stuck in the past. Hailey spends some time with her sister. Margo prepares for the start of her podcast tour while Bianca and Mike reconnect. Hailey and Claire indulge in some sibling rivalry. Hailey, Bianca, and Claire go on purposeful road trip. Tonya and Genevieve hold auditions for wedding bands. There's something strange in Hailey and Bianca's neighborhood. Meanwhile, Margo is back in Chicago for the final stop on her podcast tour. Bianca gets closer to Mike. Tonya faces her parents. Genevieve's musical connection to Timothee strengthens. Margo attends a mixer. Hailey tries casual dating. Everyone could really use a break. Luckily, Kevin and Chris know the perfect escape. The semester is ending for Hailey and she leans on her friends for support. Bianca attends her first book signing. Hailey and Bianca host a guest. Tonya makes final preparations for her wedding. When Tonya and Chuck’s wedding doesn’t go according to plan, Hailey and Bianca step in to save the day. Deep within the archives, we have uncovered a rare self-produced VHS by the one and only, Genevieve Grey. Back when she was still living the zoga lifestyle, she tried her hand at a series of motivational meditations and we are happy to bring you this never before seen video. Breathe in. Breathe out. Enjoy. A very special live episode of the hit true crime podcast, Margo's Morgue. Professional From Here Up Productions presents a new web series about friendship, identity, and tiny apartments. Heather Elaine Abbott and Breanna Benedict sit down with Nicky Quiles to answer all your questions about season one of Apartment 101. Hailey hastily finds a new apartment online and steps into a world of cramped corners and chaos. After a night of drinking, Bianca wakes her roommates for a raucous chat. Truth or dare, anyone? Bianca, Hailey, and Margo indulge in some late night games. Hailey finally gets a glimpse of the ethereal roommate, Genevieve, when Bianca turns to her for advice. During their continuous pursuit of new experiences, Bianca and Hailey attend a beginner’s tap class. Bianca is eager to share the first draft of her novel with her parents on Thanksgiving. Dancing. Bathroom chats. Stolen kisses. It's gonna be a wild night. Hailey has a very bad day. Hailey is late for the tour of a potential apartment with Bianca. It has been three weeks since Hailey and Bianca have seen each other. The rest of the roommates stage an intervention. Follow us on social media for all the exciting updates as we take this project from a pile of words on the page to a reality. Want to work with Professional From Here Up Productions? You can contact us here!